Runoff from Lake Okeechobee was originally thought to be the source of the problem. The 2016 algal bloom that closed down much of the St. Lucie Inlet and the beaches that surround it has something to do with what people have been flushing down the toilet. At least that’s according to the FAU Harbor Branch Oceanographic Institute, which recently found that septic waste and sewage runoff were the root of the inlet bloom, about an hour from the Boca campus. 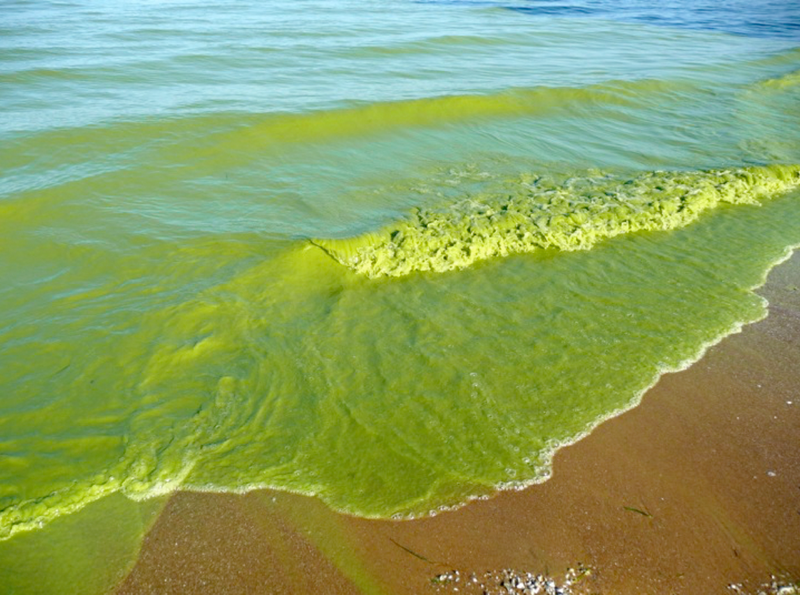 An algal bloom occurs when an excess of chemicals like phosphates and other elements — carbon and nitrogen — enter a body of water. Microorganisms like algae then feed off those elements, increase in population size, and produce toxins — which can be harmful to both marine life and humans. Lead author of the study Brian Laponte said to Eurekalert that the research examined the relation between sewage runoff into the St. Lucie estuary and other potential sources of the algal bloom, like runoff from Lake Okeechobee. His team found that the city’s sewage system alongside homeowners’ septic tanks led to the problem. On average, algal blooms cost the state $22 million annually in hospital trips and missed days at work. EPA CFR 40-503 states industrial, medical, storm and household sewage with very limited testing and processing (anaerobic digestion) can be spread on farms, where your food and cattle are grown and also forest. CAN YOU SPELL RUNOFF OR LEACHING? **EPA CFR 40-503’s were developed from very limited testing in the 70s and 80s and are unchanged even today. There are many warning given from very competent PhDs over the last 40 years which the US and State Congress have ignored and will do absolutely nothing to rock the sewage boat. Yes there is even a sewage lobby. Yes it is loaded with unregulated phosphates which really makes the plants grown but at who’s expense? It is cheaper to dump sewage, or as the EPA puts it, “biosolids” on top of the ground as opposed to putting it where it belongs. IN A LINED LAND FILL! Here are some warnings from the same idiots that make it legal. **So when you hear anyone from the multi-billion dollar sewage industry or anyone with monetary ties to any part of the sewage industry say the chemicals in biosolids are minimal and inconsequential or that they support composting with biosolids, ask them for any test showing the degree of hazard and concentrations of 80,000 chemicals that are found in biosolids or a composted biosolids like Milorganite from Milwaukee. **Chemicals that are persistent in the environment, bio-accumulate in people and/or wildlife, and are toxic are called PBTs and neurotoxins such as microcystin (a hemotoxin), phycotoxins, domoic acid, brevetoxin. Because of these features, as long as they remain in commerce and may therefore be released into the environment, they will threaten the health of humans, wildlife including aquatic life.